World Vision supporters across the country — like you — speak up for children in need through emails to Congress and other online activism. But advocacy doesn’t have to stop there. You can make an even more powerful impact for kids around the world by joining our new Volunteer Advocate community, launching this week! Because it works! 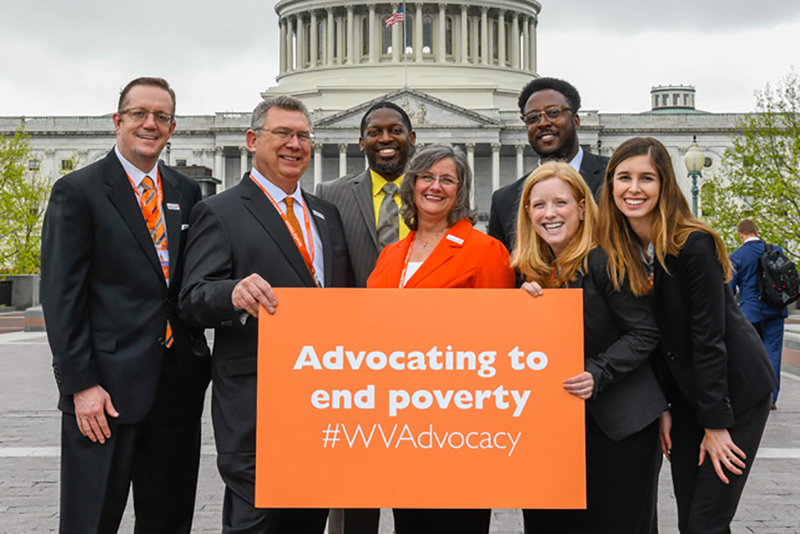 For several years, a group of World Vision advocates from Texas engaged their congressman through meetings, letters in their local newspaper, and inviting his staff to a World Vision advocacy training at their church. World Vision provided them with resources, talking points, and personal support — and they did the rest! Because of their thoughtful and positive engagement, the congressman eventually supported legislation to combat human trafficking as well as support funding to reduce global poverty. More than this, they now have an open line of communication with the staff in his local office, giving them way more influence than they would have through emails or calls alone. As a World Vision Volunteer Advocate, you’ll join an active, supportive community of Christ-followers who see advocacy as a ministry, a reflection of God’s commitment to redeeming our world. You don’t need prior experience – we’ll provide all the training you need. In the name of Jesus I’m here to serve and not to be served. God bless world Vision in all that you do in Jesus name amen.